Do you ever just have one of those days? The kind of day that might drive you to drink, if you were the drinking type? 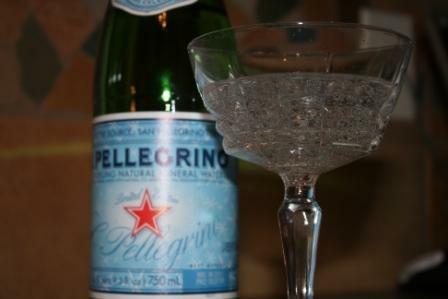 I’m not the drinking type, so those kind of days send me in search of San Pellegrino and a fancy crystal glass. The kind of day where you run into a friend at Costco who does not even come close to resembling a woman who just had a baby 3 weeks ago, thereby makng your 8 month post-partum self look gigantic. Where, in that very same Costco the fudge sampler rubs your belly(without asking) and asks when the baby is due. Perhaps you shouldn’t have been buying the fudge, but perhaps the sampler might also have noticed the 8 month old baby in the cart. Or maybe it’s the kind of day where you and a friend head a half an hour away to attend a much-anticipated chocolate making class. The class that promised some very dreamy samples. And perhaps once you arrive at said class you are informed that you only registered for one spot instead of two. Perhaps you are overcome with guilt because not only are you registration-challenged, but apparently the laws of physics don’t allow for squeezing another chair into the room (I don’t know if it’s really the laws of physics, but Doug probably won’t be reading this, so I’m letting it go). Perhaps this really good friend offers to come and pick you up later because you decided to carpool (curse Al Gore and his environmentalism). Perhaps you are still overcome with the guilt of being both technologically illiterate and a horrible friend. Perhaps you decided to not go to the class, and perhaps that same friend tried to make you feel better by buying you dinner. Do you ever just get thrown for a loop by negativity? I mean, my day really wasn’t all that bad. I ended up having a great night out, I didn’t yell at my kids, and I’m fitting into all of my clothes, but the whole thing left me sad and disappointed. I know I have the best life. I am seriously living my dream, so why be sad about a chocolate class? I’m going to have to go and ponder this over a glass of San Pellegrino. I really should have written about this whole thing on Friday. I feel my excitement has died down a little bit, but hopefully you’ll get what an amazing experience this was. From time to time I head down to the Central Market to take cooking classes. I’ve learned about make ahead meals, all kinds of lobster, and southern specialties. Last Thursday was all about bread. I was so excited when I saw the class description that I really didn’t even research the instructor all that much. Dixie told me that she bought the book, and that was about it. Well, it turns out that the instruct or was Peter Reinhart. This man is amazing. By far the best class I’ve taken at Central Market. If he’s coming to a Central Market or a Sur La Table near you, it is well worth the money. He gave some very practical advice (like keeping a bowl of water nearby to dip your hands in when working with sticky dough), and he gave some very technical insights. He went a mile a minute and never lost track of anything. At one point he had 6 loaves of bread in three different ovens, and he still managed to explain the benefit of slurries. One of the keys to this particular class was the process of delayed fermentation. I’m no expert, but it has to do with activating all the components over time. 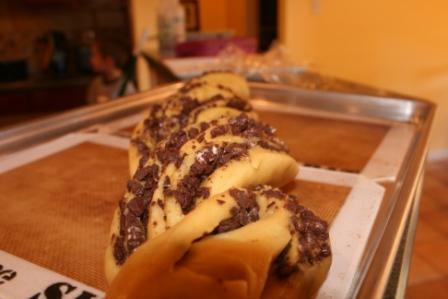 On Saturday I made a beautiful chocolate babka. Well, it was beautiful all day long … until I burned it beyond recognition! That’s okay though. I was only depressed all night Saturday and most of Sunday, but I’m over it now, and ready to try again! As if the experience of the class wasn’t enough we also met a local celebrity. Well, celebrity to culinary geeks like me and Dixie. There is a pizzeria in San Antonio called Dough. It’s authentic Italian. They have a special wood burning oven that cooks the pizzas in 90 seconds. We first discovered this restaurant almost two years ago. I cannot accurately describe the joy that this food brings to me. 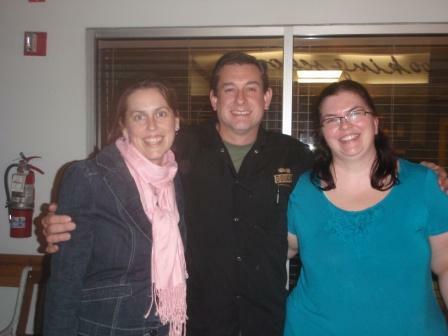 Anyway, attending the class Thursday night was Doug, the owner of Dough. At the beginning of the class, the instructor told everyone that he would be going to Dough after the class, and that we were more than welcome to join them. Once the class was over Dixie and I were very excited about the idea of eating at the restaurant with Mr. Dough and Mr. Reinhart, but we weren’t really sure if the invitation at the beginning of class was sincere. 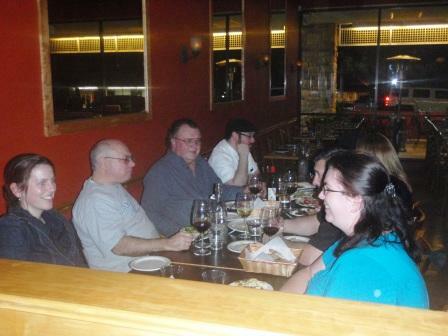 So, we went up to Doug, took a picture (because we’re stalkers that way), and tried to ascertain how serious the invitation was, because, at that point, the restaurant had closed. No worries. Doug said that if the restaurant was going to be open for him it would be open for all of us! After all, he said, we’re part of the Dough family! I wonder if I can use that line to cut down the hour-long wait on the week-end! We figured there’d be a half-dozen or so students from the class, but it was just us. There was me, Dixie, Doug, his wife, Peter, Jay (a fascinating person who I hope to meet again), and two chefs from Central Market. It was an amazing evening. It was fascinating to hear Doug ask Peter about different ways to perfect his craft. I’ve worked in a lot of kitchens, and chefs have certain reputation, but these two men were very humble about their craft. I learned so much. I felt like a celebrity. 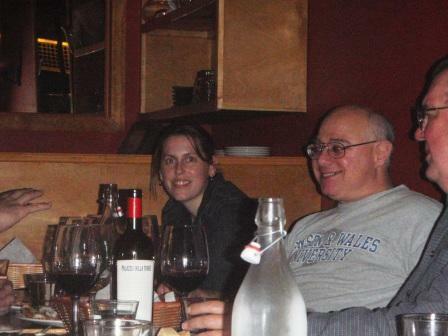 Sitting at a table after the restaurant closes with the owner and a world-renowned baker. This post in no way does this experience justice! I am so glad that I went to the class, and that we went to the dinner after the class. I stepped a little bit out of my comfort zone and because of that I wasn’t saying, “what if” on Friday morning. It was so perfect before it went into the oven!